In retail inventory management, optimal use of technology and SCM strategies can keep the day-to-day operation smooth and efficient. In inventory management, what is required is to select the right product, right time and right place and make the products available for customer. Also, there should be the right quantity available always at Distribution Centres (DC) and stores need to have better in-stocks to ensure no sale loss. Also, suppliers need to be pushed to supply each and every order that is placed to deliver on time and at the right place. Keeping an accurate count of product and maintaining an organised item inventory is essential. 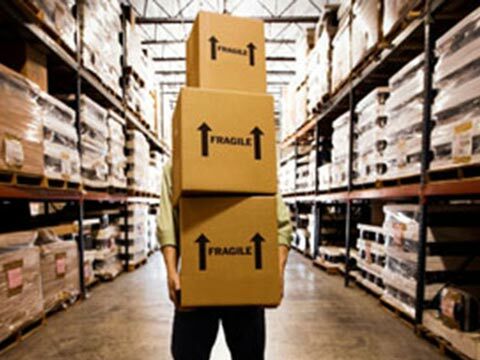 Making out timely orders and maintaining regular deliveries is also important, ensuring our inventory never gets too low forcing us to lose sales nor our inventory building up too big thereby threatening us with an expiration date crisis, as well as, time lost moving around excess product coming in our way. There are some major factors for retail inventory management which are discussed below. Retail inventory management software: It is required to ensure that we are using right software and setting all the parameters required to create right quantity based on our regular sales, seasonal, festivals and back to school etc. (right forecast, policies, number of days inventory holding in our DCs & Stores by department, category, sub-category, fine line and item level etc). Also, walk around the store daily and notice which items seem to be selling. Take mental notes of the items that never need to be restocked. When you recognise items that aren’t selling well, determine if this is a seasonal product or the product simply isn’t popular anymore. In either case, move the product to a new location, to try to facilitate sales. Rotate inventory: A huge loss for businesses with inventory is items going ‘out of date/expire shelf life’. One way to avoid this problem is to rotate product often. When we stock new deliveries of product onto the sales floor, we don’t want to simply replace what was sold with your new product. Instead, we want to place the product with the latest out-of-date numbers in the back of your display. If we continue to place new inventory in the front of the display, we’re eventually going to have a lot of product pass its expiration date, simply by sitting in a spot no customer is ever going to put their hands on it. The same thing goes for the back room. We want our newest product behind or under your oldest product in the supply room, so you place your oldest product on the sales floor first. We might think this is a huge headache, to continually pull product from the back and place the new inventory behind it. If that’s too much of a problem, consider pulling the entire old product to one side of the display, preferably the one that gets picked from the most often, and building the rest of the display with the new product. If we have inventory that moves pretty quickly, this system works well enough, too. The more often we count inventory, the more often we’re going to be thinking about what sells best and what should be discontinued, or at least ordered less often. This is a good strategy, because it forces us to make hard choices and to hold oneself accountable. Retail inventory management concerns: Things are never going to be perfect in retail inventory, but some retail inventory managers are better than others. The best retail inventory management requires attention to details and good communication. Even then, resupply isn’t always perfect. For instance, when I was a warehouse in-charge, if the central warehouse that supplied us with product was having a space crisis with an over-ordered product, we would sometimes get extra pallets of unwanted product, no matter what we put on our order. Someone else’s problem became ours, despite our loud complaints. Only seldom did those complaints result in the product being shipped back where it came from - it was our problem. That’s going to happen to a retail manager sometimes, so we have to get used to it. What you can do to make those retail inventory problems more manageable, is to handle you own business. Keep a good track of your inventory needs, order exactly what we want, don’t let salesmen/buyer talk you into something you know you don’t want, and when someone else makes a mess for you, we’ll be able to handle it. In other words, in retail inventory management, the more problems we solve, before they become problems, the better retail managers we’ll be. Don’t fall in love with your inventory. It’s not likely to love you back. It’s amazing how the investment in inventory can take on an emotional, almost passionate quality. But, if you think about it, it is understandable. For those of us whose focus is on managing retail inventory and maximising the return on inventory investment, however, inventory is a dispassionate means to an end. We look at inventory, and we see a surrogate for cash. It’s either going to be sold and converted to cash, or it’s sitting there tying up cash, costing us more cash each and every additional day it’s not sold. It is our responsibility as inventory managers to recognise and adopt sound inventory management practices, in order to maximise the return on inventory investment, without sacrificing the passion that is the lifeblood of any growing business.